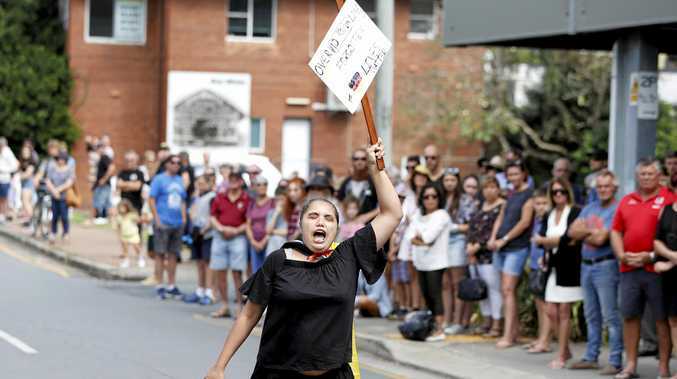 THE mother of the protester who disrupted the Murwillumbah Anzac Day service yesterday by draping herself in a German flag and shouting "German lives matter" has apologised for the actions of her daughter. The mother, who chose to remain unnamed, said her 18-year-old daughter was diagnosed with autism spectrum disorder and now feared for the safety of her family following a tirade of online abuse since the story was published. Lone Anzac Day protester: A LONE protestor draped in a German flag shouting "German lives matter” has disrupted the Anzac Day service in Murwillumbah. "I'd like to apologise on behalf of her, I know it was very disrespectful, especially given the time that she did it, she obviously didn't realise how wrong it was, she didn't realise it was wrong to do it at that particular time," she said. 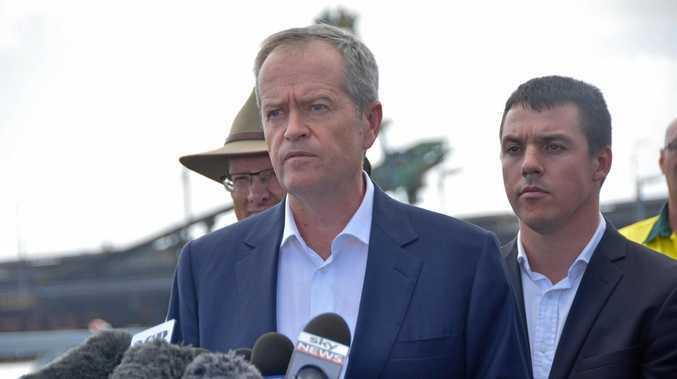 "I think she has been very surprised at how far it has gone, she's anxious and worried and I think to a degree she realises that it was wrong, she's worried and concerned about the ramifications it will have on the whole family." She said her daughter's autism spectrum disorder meant she often became "fixated" and "obsessed" with things including the protest yesterday. "She's been obsessed with this since she learned about the Second World War in high school," she said. She said police officers spoke with her daughter following the Anzac Day Service about how she could get her point across in a more positive manner in the future. "I think she's definitely learnt her lesson, they (the officers) explained to her what she did was wrong and pointed her in the direction of some other more positive avenues she could take to get her views and opinions across without offending people," she said. Those attending the Anzac Day service in Murwillumbah yesterday were outraged when the protester disrupted the minute's silence and the Last Post by shouting "German lives matter" and "Germany should have won the war". The protester was eventually escorted from the area by police.